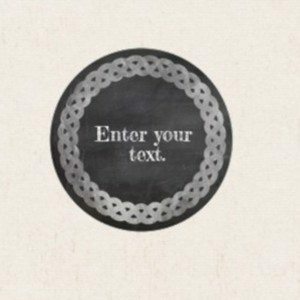 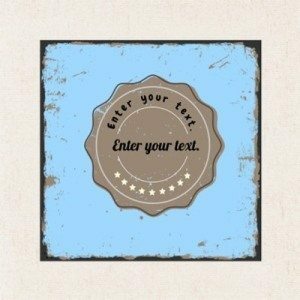 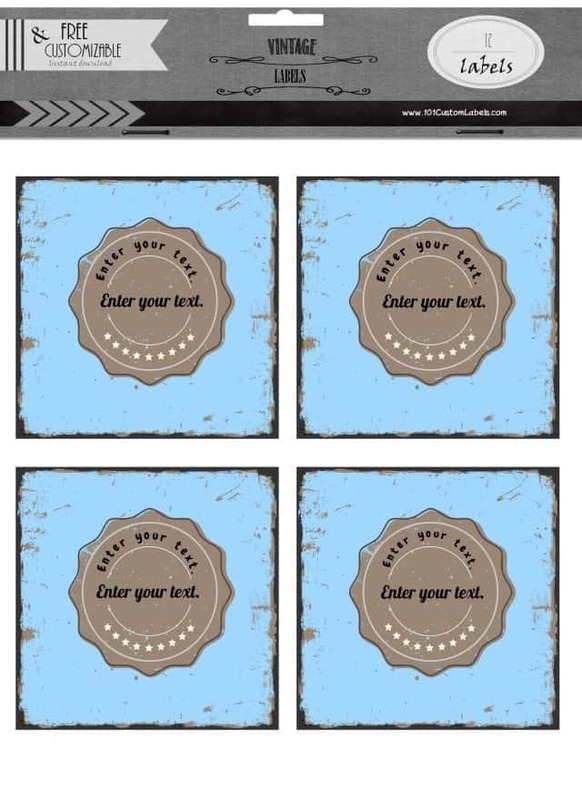 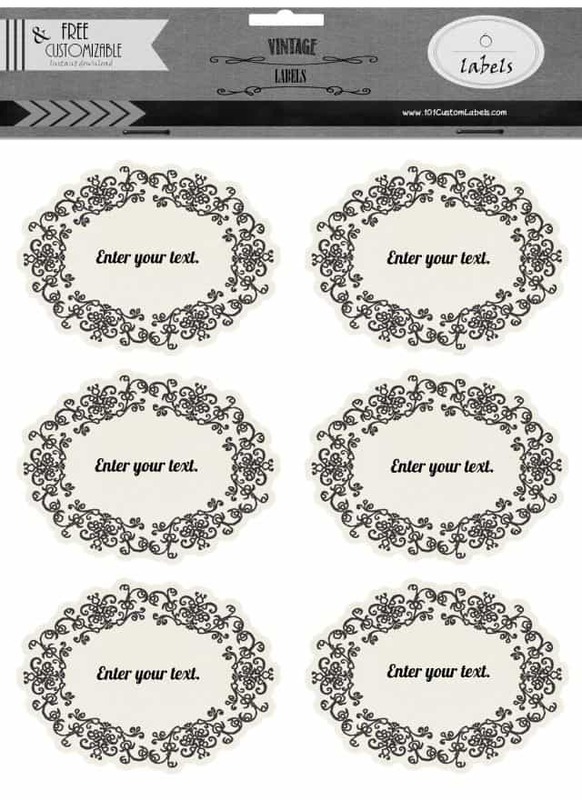 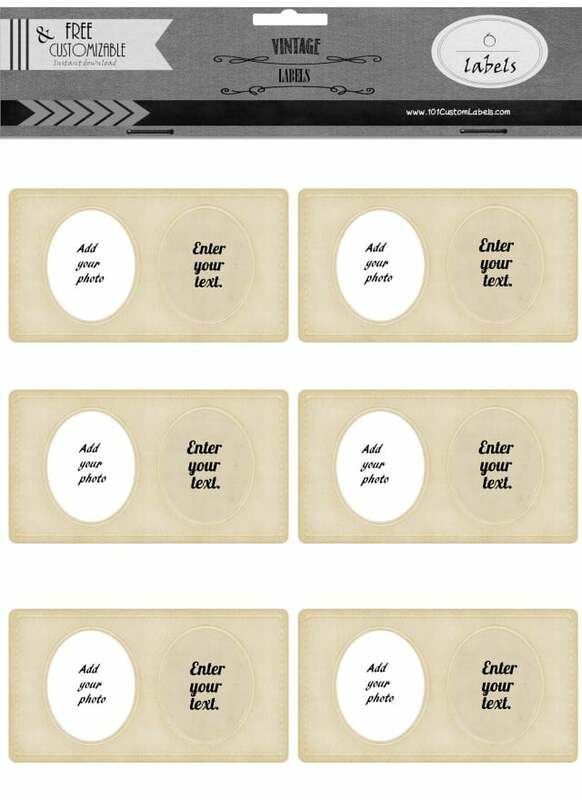 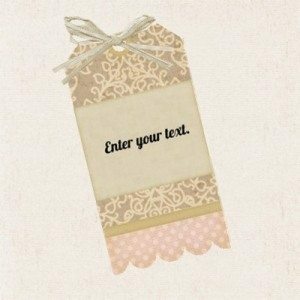 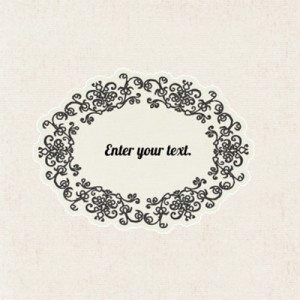 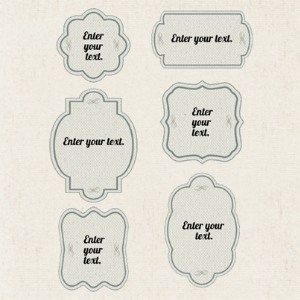 These vintage labels can be customized with your own text using our free vintage label maker. 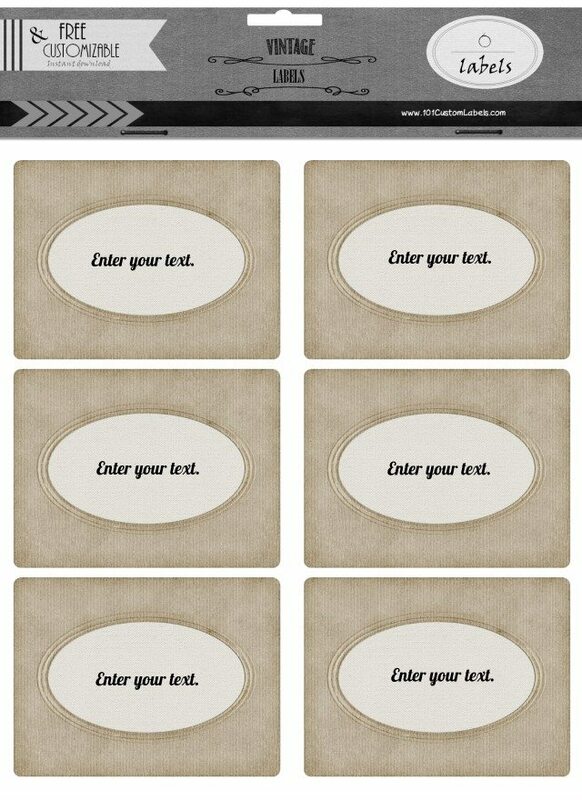 Just click on “customize” and type whatever you would like to appear. 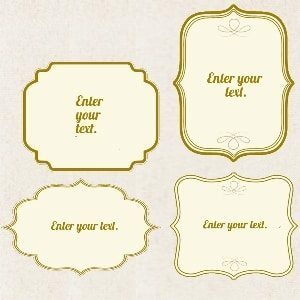 You can change the size and style of the font if you want to make any changes. 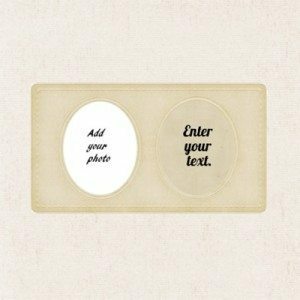 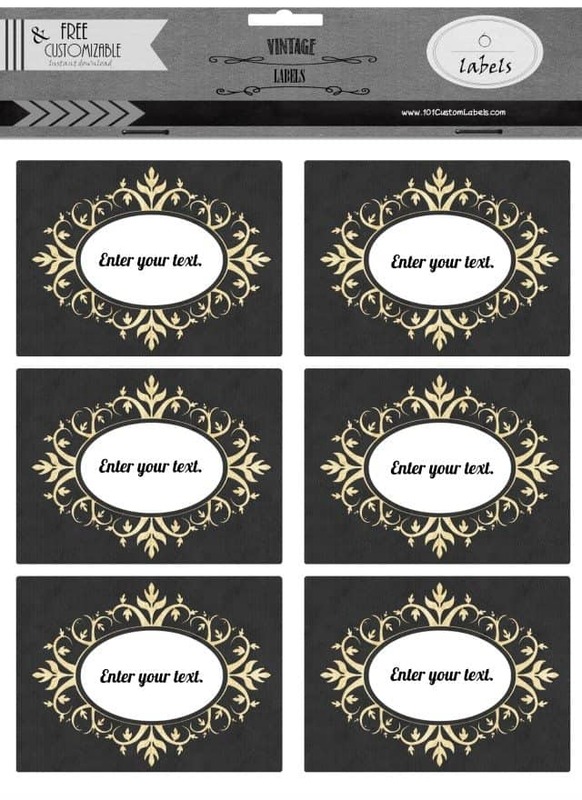 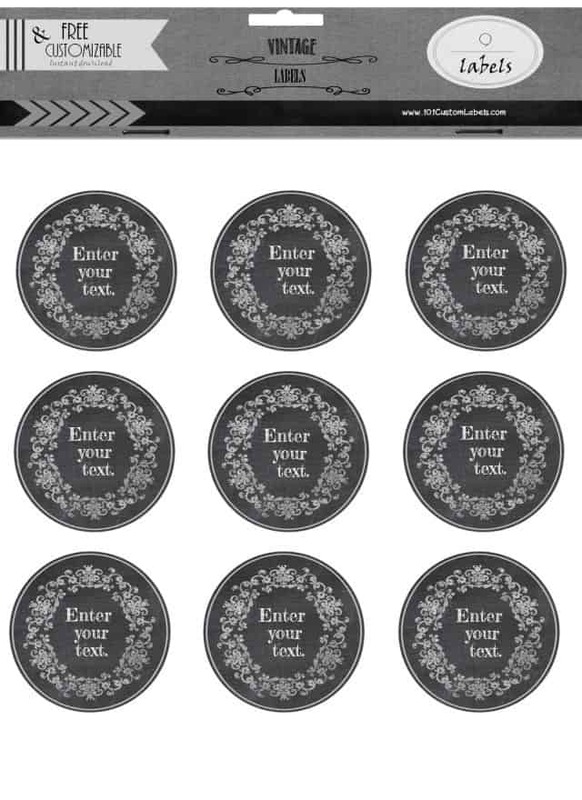 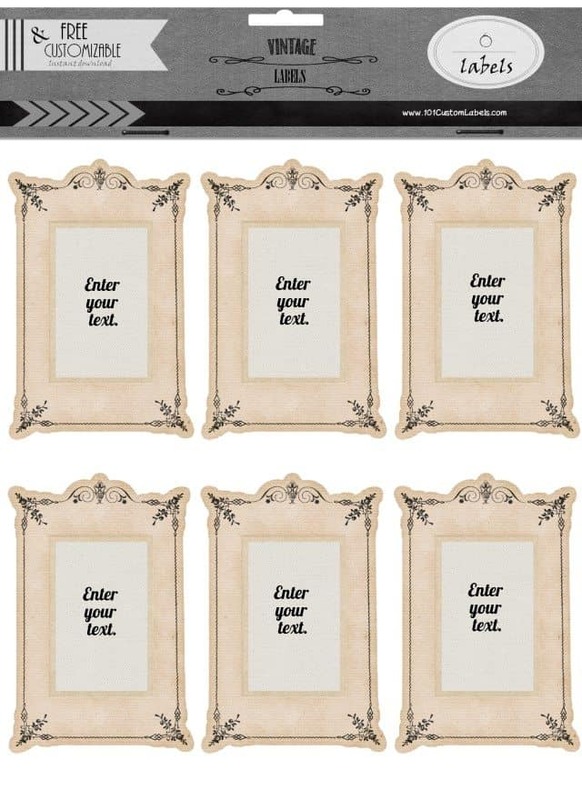 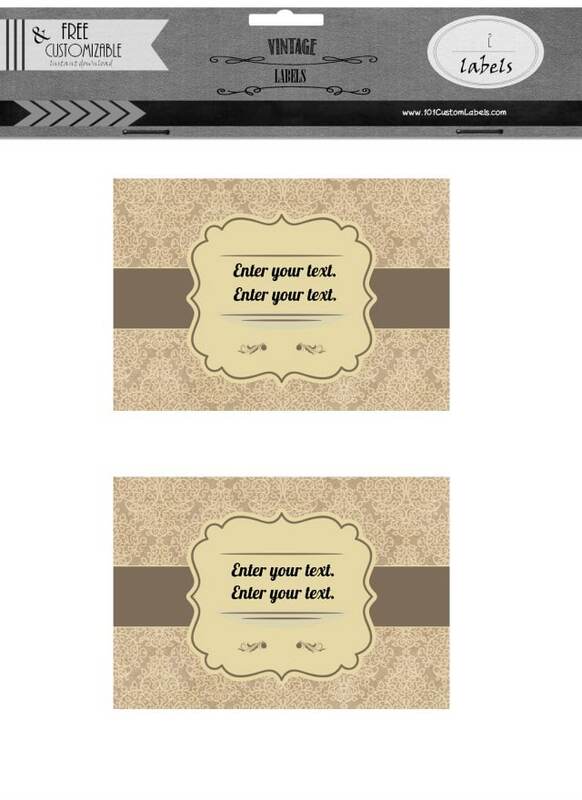 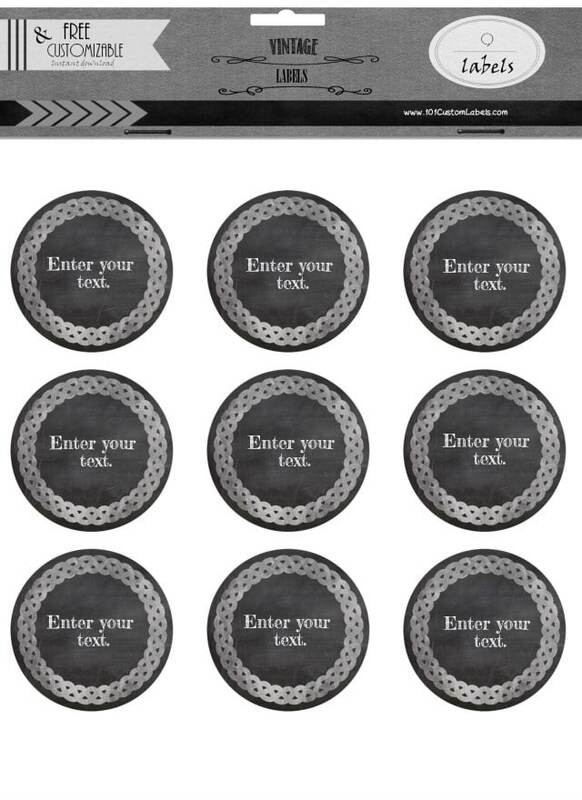 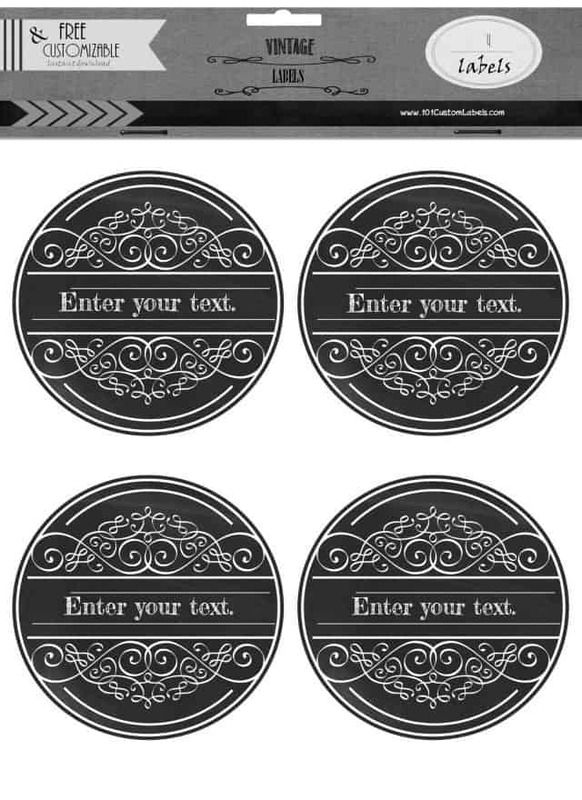 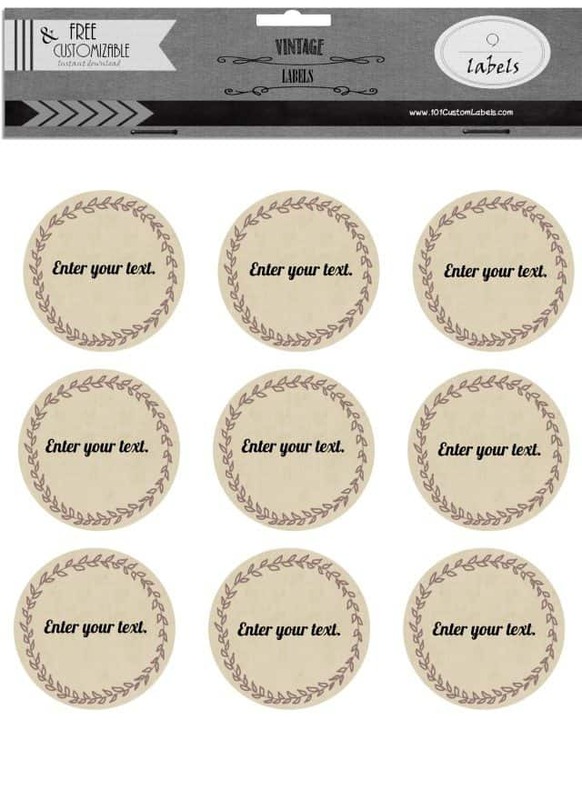 Print at home on sticker paper or regular paper and apply with paper glue. 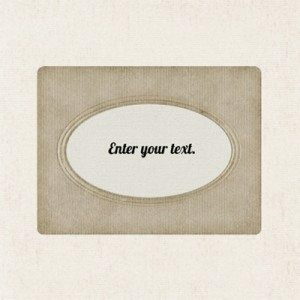 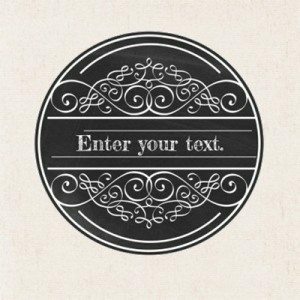 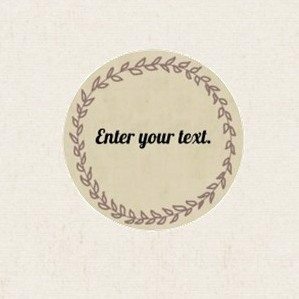 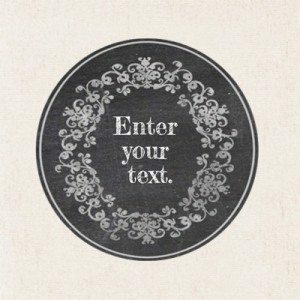 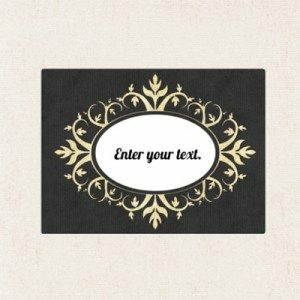 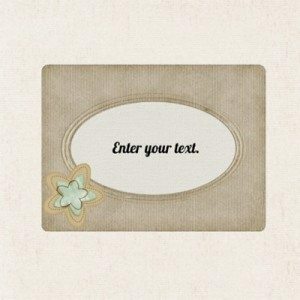 You can use regular printer paper and still achieve a vintage look since the printable labels have a textured background. 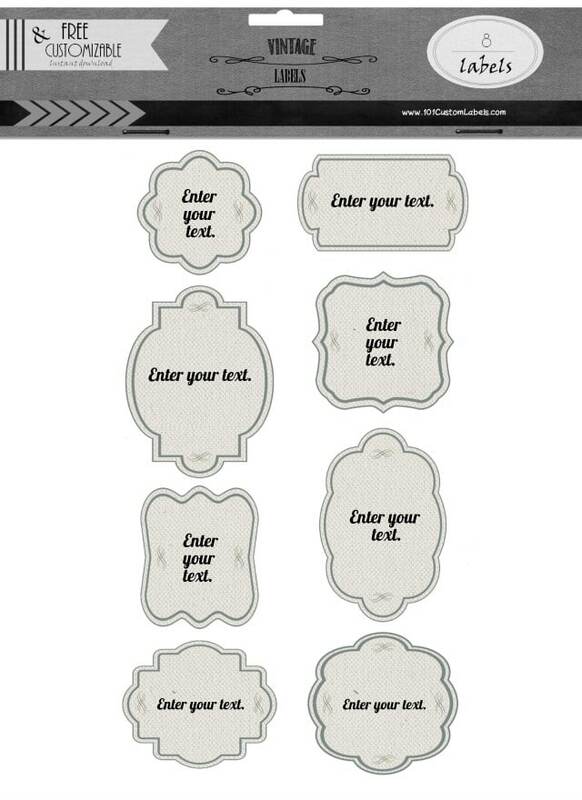 If you prefer you can use textured paper although it isn’t necessary. 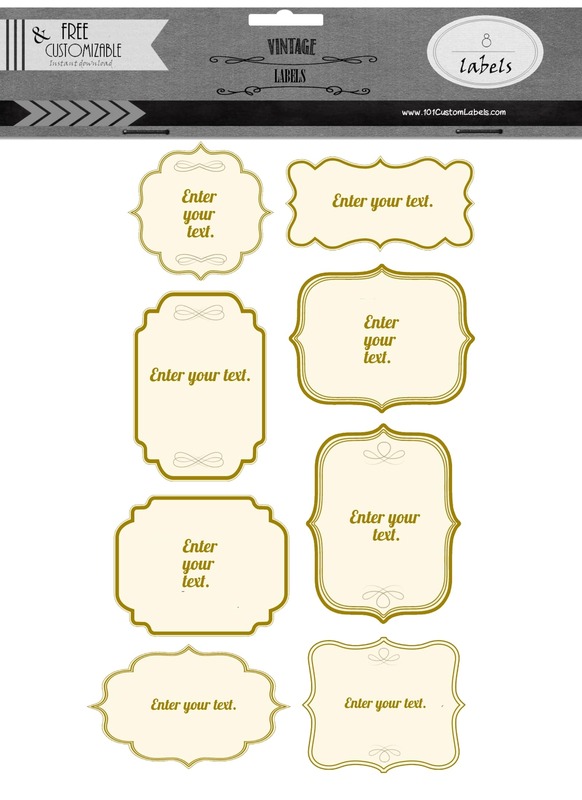 Once you have printed the custom labels just cut them out and adhere with paper glue. 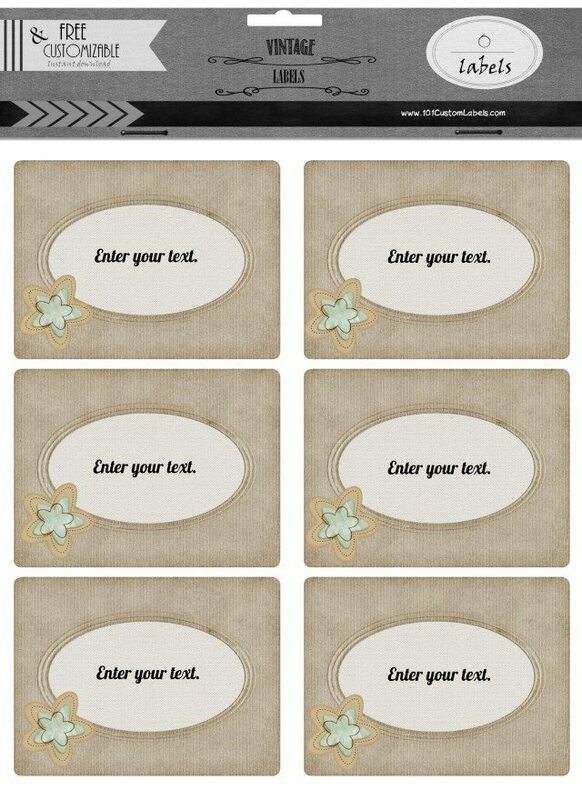 They are all free! 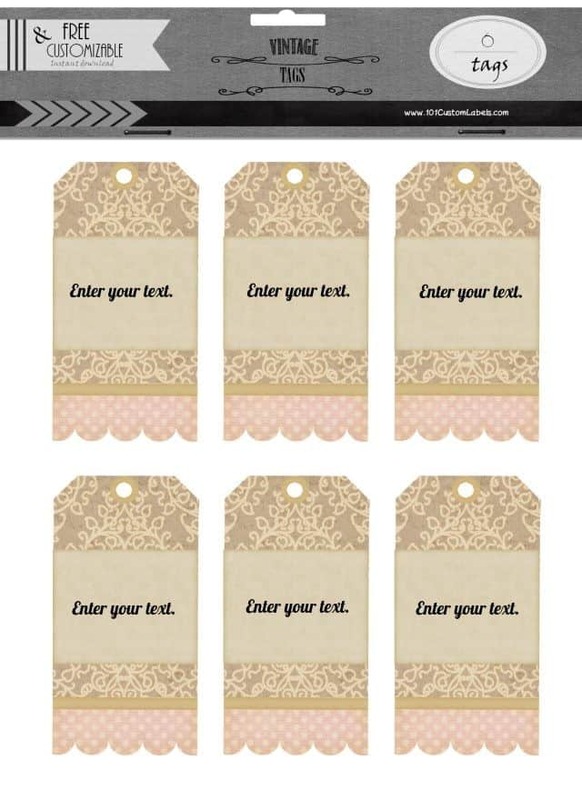 You can print various styles for different purposes. 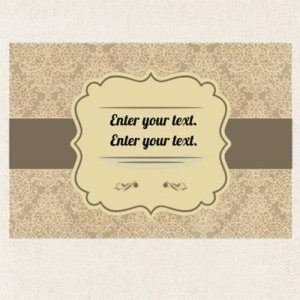 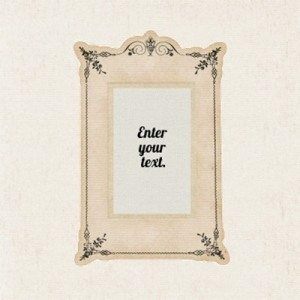 Scroll down until you find a design that you like!